Why Can't My Child See the Big Picture? To recap, the ability for your child to see the big picture relies upon his ability to understand what is expected of him and why it is relevant, in addition to being able to self-assess along the way. 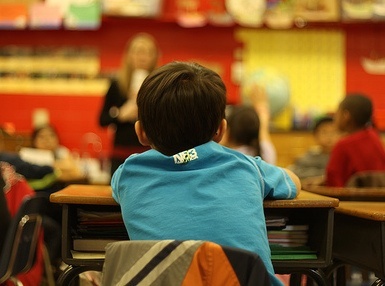 No wonder it’s so hard for many students to see the big picture — cognitive flexibility and metacognition are evolving skills for children throughout their school years. Moreover, students vary in the rate at which they develop Executive Function skills. Add in challenges such as ADHD, autism spectrum, or other learning differences and you can start to imagine why big picture thinking is difficult for many students, yet it is so important for success in school. The explanations for the common scenarios posed at the beginning of this article are as varied as your son or daughter’s unique learning profile. One reason your son may have trouble following all the directions on an assignment is that he rushes through the task and does not check his work because he would rather watch YouTube videos for the rest of the evening. He is not self-monitoring his work and seeing the task to completion. Your daughter may highlight everything because she has difficulty identifying important details or paraphrasing information to determine the main idea. She may have trouble with her working memory which affects her reading efficiency. Your son may think his teacher is torturing him with pointless assignments because he may have difficulty with perspective-taking skills. If he cannot put himself in his teacher’s shoes then he may have difficulty understanding why the task is relevant, what he is expected to learn, or predict what will be on a test. Be sure this is skill-based answer, such as “to review my spelling words for the week and get ready for the test” as opposed to “to waste time before karate class.” If your child is unsure, teachers (especially middle school and beyond) often provide this information on the assignment sheet. How will I know I’m on track? Our favorite way to help students remember this information is writing the answers to the questions above on a post it note on the top of the assignment, on a bulletin board or dry erase board, or any other place that is easily referenced while the student is working. Another way to help your child is by underlining key words in directions or test questions. We consistently see students lose points because they did not include all the required parts of a given question. We sometimes recommend using different colors to highlight or underline each part of the question so each component is easily identifiable. Some students prefer to color code the question and the answer in the same color so it is easy to find. This also supports their comprehension by explicitly linking the question with the answer. Your child will have the most buy-in for a strategy like this if he or she is the one choosing the system. Finally, your daughter can put her collection of sparkly gel pens to good use with this method! If you find your child still has trouble seeing the big picture despite trying these strategies, he or she may benefit from consistent expert support to build the skills needed. 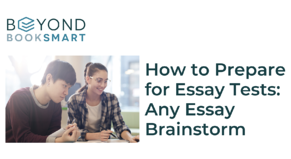 Preparing for essay tests requires both big picture thinking as well as detail oriented thinking. Our free guide to effectively preparing for open-ended assessments contains step-by-step instructions to help your child.